Of course you’re familiar with Picasso. And Warhol . . . you know. The Campbell’s Soup Can poster. 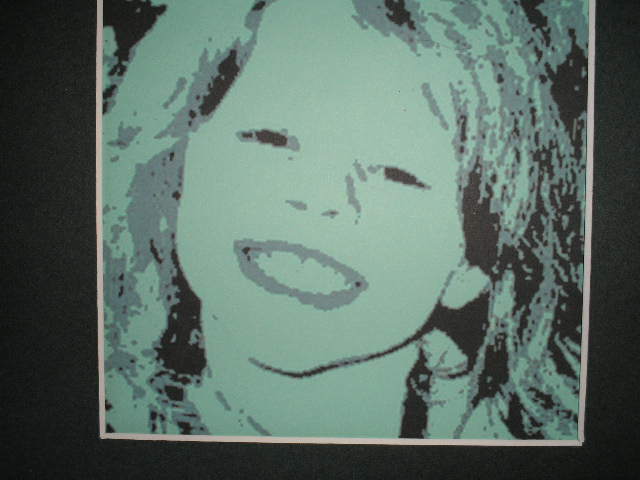 Warhol’s experiments with color and printing techniques always intrigue me. Poster and illustration are among my favorite art categories, so my strong attraction to Picasa is understandable. Don’t know Picasa? That’s not odd, because Picasa is a WHAT not a WHO. It’s a computer photo software editing program.. Included with the package on my laptop at purchase, I really never explored it until last winter. Remember last winter? The never ending cold and snow provided plenty of inside time, to attempt something new. The piece above was created from the original shot, below, using Picasa. Picasa brought an idea to mind right away. I wanted to make posters for my granddaughters, using photos of them at various ages. 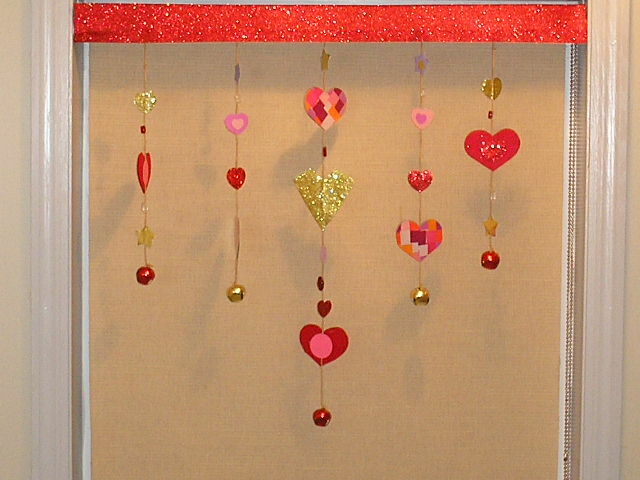 Well, the project slid to the back burner until this summer for the girls’ birthdays. The dates are barely two weeks apart and there is usually a combined party of some sort. Both are teenagers now, but no big celebration this time, as the family was in the middle of moving to a new house. Always looking for out-of-the-ordinary gifts, I thought this might do the trick. The poster idea was given up for three shots in a horizontal frame. 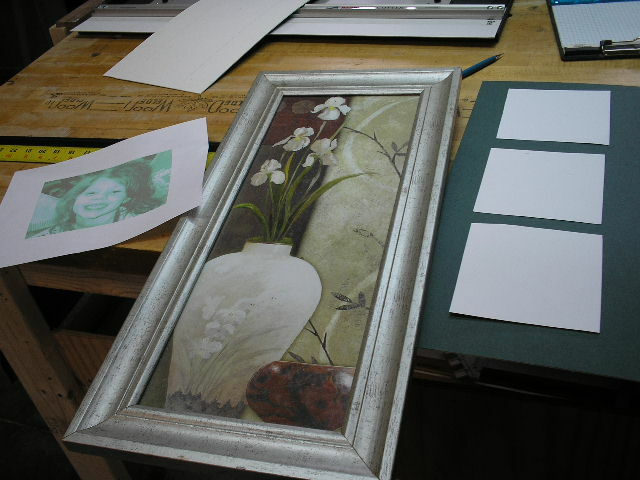 I had a set of prints in pewter colored frames and I chose mat and image colors to coordinate with the girls’ rooms. They got new bedding sets from the parent figures. Carm’s is black, white, gray and hot pink. Ash chose teal, brown and beige. So I worked in those ranges. NOTE: I saved the cardboard prints for a later fun DIY project! 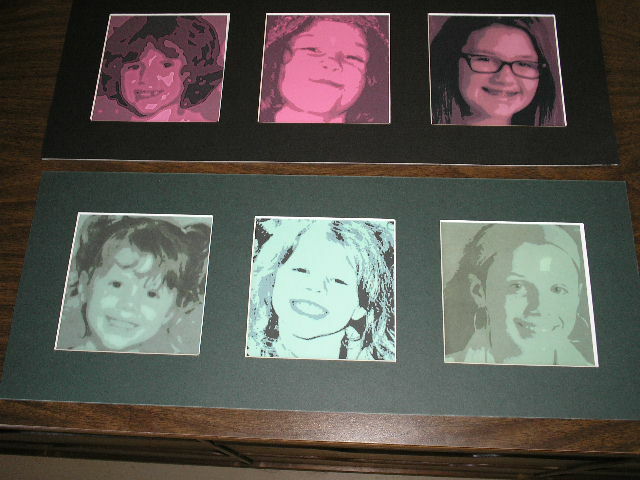 I was very happy with the final pieces, and so were the girls. They really liked them and the fact that no one else has anything like it. When their rooms are newly painted and the art is hung, I’ll pass along better pictures! Picasa 3 is the version I have. It includes five menus to play with. The first two are basic editing options. There are three more menus with lots of fun toys to try out. Whatever photo edit software you have, play with it to discover all of it’s toys! And Remember Now . . . don’t stress about a project, just start one! 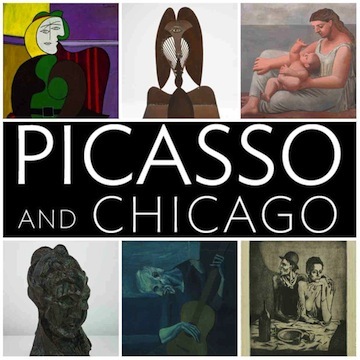 This original article “Picasso, Warhol & Picasa?” appeared first on Artzzle.com. No included content or photography can be used elsewhere without specific permission and accreditation from contributors. Outside sources are marked when available.